My first meeting with Mrs. Peterson must have taken place either in my Freshman or Sophomore year. I distinctly remember her air of bustling efficiency and that ever-present well sharpened pencil in hand. Mrs. Peterson had all sorts of questions for me; my career choice, my choice of college, my high school classes to prepare for my future career etc. All was much muddle to me since I simply wanted to be a housewife and stay at home mom. "Dot," as I came to know her, brushed off my weak career expectations and pulled out listings and books for me to peruse, consider and contemplate. But her name suddenly made sense! Dictionary of Occupational Titles, DOT. 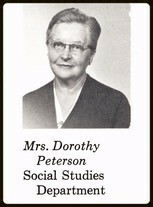 No wonder my friends urged me to read the book titles behind Mrs. Peterson's desk..........she not only exemplified but wore the name. For the rest of my high school years it was Dot who barraged me with all I could become, what I could endeavor to do and what achievements I could make. The poor woman had no idea the simplicity of my mind or my dreams. She never gave up either. I was not one of Dots success stories. I fell into a career by accident and by marriage that I did well at for 30 years. It was after retiring that my dreams finally came true. I have become the ultimate housewife who loves cleaning, shopping, decorating and fussing over her man. I'm probably the oldest living college junior with no intention of ever achieving a degree but with absolute contentment in my present lifestyle. I think Mrs. Peterson would smile at that statement. 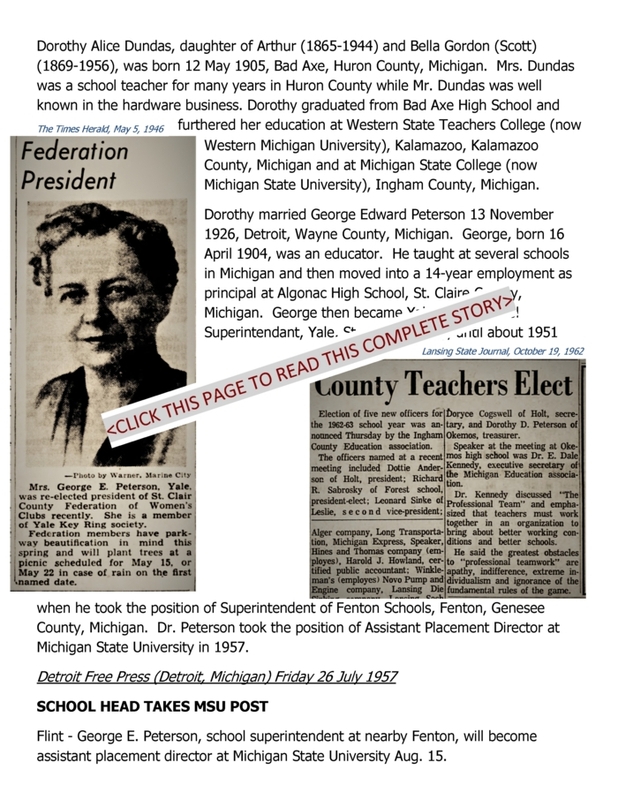 Click here to see Dorothy's last Profile entry.